What do Carmel, Aspen, Charleston and Santa Barbara all have in common? They were all rated as the best small cities in the U.S. by ‘Condé Nast’! Santa Barbara has been recognized as one of the Top Small Cities in the U.S. by Condé Nast Traveler 2017 Readers’ Choice Awards. Santa Barbara first appeared on the list in 2015. The destination, which welcomes more than 7.2 million total visitors per year, is one of 15 winners ranked in the category among other top reader favorites. More than 300,000 travelers took part in the 30th annual survey — a record high for participation — voting on 610 cities and 7,320 hotels and resorts, according to Condé Nast Traveler. Several Santa Barbara South Coast hotels were named as winners under the survey’s Top 25 Hotels in Southern California category, including The Kimpton Goodland Hotel, Spanish Garden Inn, Belmond El Encanto and Kimpton Canary Hotel. “We’re honored to be named a top destination for travel by Condé Nast Traveler readers and proud to see so many Santa Barbara South Coast hotels recognized,” said Kathy Janega-Dykes, Visit Santa Barbara president/CEO. “Santa Barbara’s small-town charm and relaxed coastal vibe combined with its sophisticated, well-curated shops and attractions offer visitors and our local community the best in hospitality. Its excellent restaurants, stunning coastal landscape and world-class wine country also have helped create the bucket-list appeal of the destination,” she said. Santa Barbara and all the winners of the 2017 Readers’ Choice Awards are featured in the November issue of Condé Nast Traveler and on CNTraveler.com, which together reach 6.1 million readers per month. A full list of winners can be found at www.cntraveler.com/rca. — Natalie Bovee for Visit Santa Barbara. LOOKING TO LIVE THE MONTECITO LIFESTYLE AND ENJOY ALL SANTA BARBARA HAS TO OFFER? Every May, Santa Barbara celebrates its Spanish heritage with the extraordinary Cinco de Mayo Festival at De La Guerra Plaza. This year’s festivities are here, and they will draw thousands of locals and visitors. With live music and delicious cuisine from an array of food vendors, this festival is the best place to be on the Fifth of May. What's the history of Cinco de Mayo? (pronounced: [ˈsiŋko ðe ˈmaʝo]; Spanish for "May 5th", or literally, "Five of May") is a celebration held on May 5. The date is observed to commemorate the Mexican army's unlikely victory over French forces at the Battle of Puebla on May 5, 1862, under the leadership of General Ignacio Zaragoza Seguín. 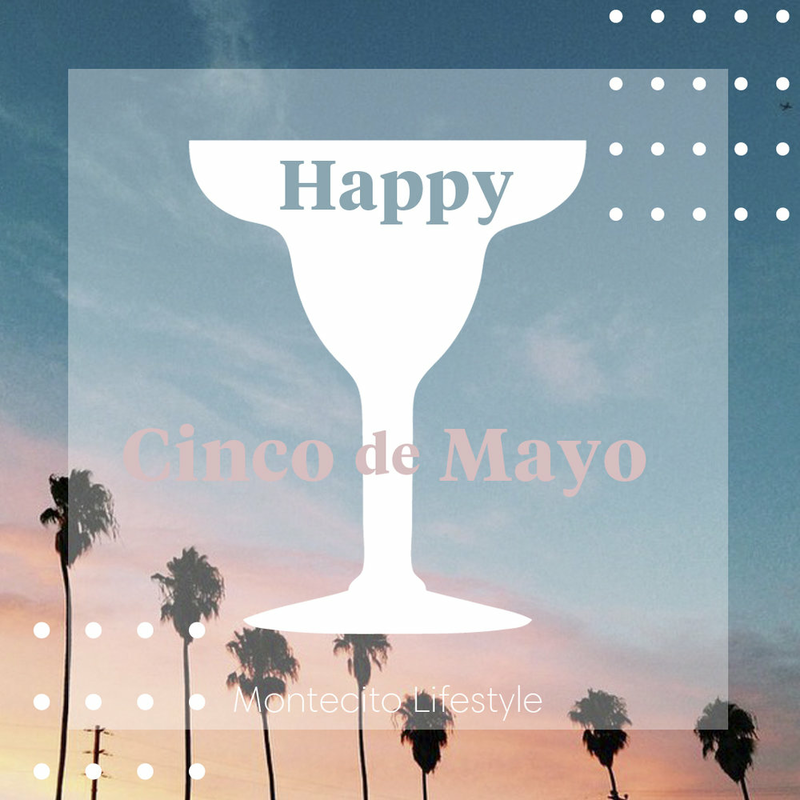 Where & When is Cinco de Mayo? Located in downtown Santa Barbara, De La Guerra Plaza is a haven for Latino culture in Southern California. It also hosts the Old Days Spanish Fiesta every August—one of the region’s most popular annual events. On May 5th, the city will commemorate the Mexican defeat of the French in 1862 and celebrate the country’s heritage. What's happening in Santa Barbara for Cinco de Mayo? With such a strong Mexican culture throughout the city and state, a Cinco De Mayo celebration in Santa Barbara is as authentic as anyone will find in the United States. In the past, festival-goers have enjoyed everything from confetti-filled eggs to live Mexican music to delicious taquitos, tamales, and grilled corn on the cob. The city of Santa Barbara even throws in a few extra fun for everyone attractions, like the rock climbing wall which has made appearances at festivals past. To take part in the fun this year, just head over to De La Guerra Plaza. With musicians jamming in the plaza, and chicken and beef simmering on the grill, this year’s Santa Barbara Cinco De Mayo Festival promises to impress. Don't miss out on all Santa Barbara has to offer in this fun filled festival.